Clamshell-style Ring. 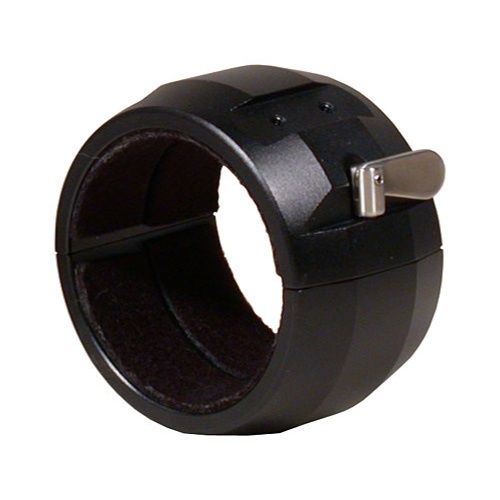 These rings clamp onto your telescope to provide an attachment point for TeleVue mounts. Felt lining on interior surface protects telescope finish. Rings include two mounting channels for TeleVue finder accessories such as Starbeam with TeleVue base, Sol-Searcher, Piggy-Cam and others. RS3-8003: For TV-76, TV-85 or any telescope with outside tube diameter of exactly 3-inches. Finish matches focuser body and dew shield of current production telescopes. RS4-8004: For TV-102/(iis), TV-NP101/(is) or any telescope with outside tube diameter of exactly 4-inches. Finish matches focuser body and dew shield of current production telescopes.